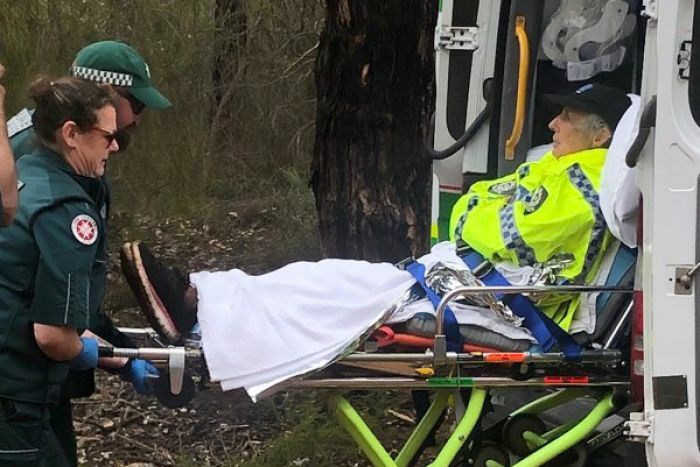 An 84-year-old woman who survived for three days in remote Western Australian bushland has thanked her rescuers — and even managed to joke about the ordeal from her hospital bed. 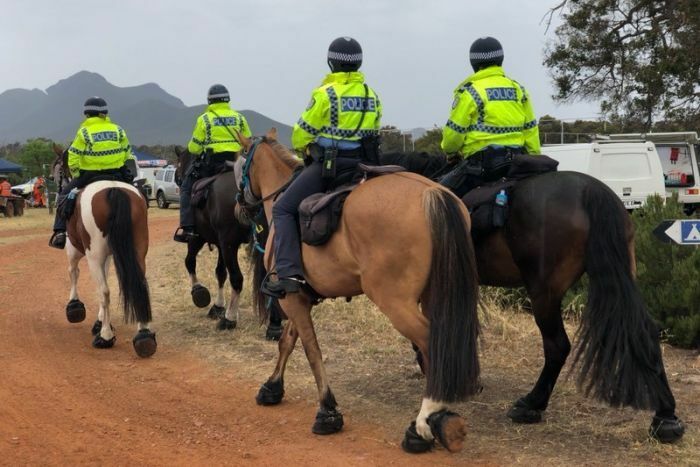 Patricia Byrne disappeared on Thursday while helping family members maintain walking tracks in the Stirling Range National Park, in WA’s Great Southern region. She was found by police officers on Sunday morning as part of a rescue effort involving more than 40 volunteers from the State Emergency Service. The great-grandmother, who is recovering in hospital, said she lost her way when she emerged from bushland and realised she had lost sight of her relatives. She said she expected to find her way back to them by following a creek bed. “I figured that if I followed the creek bed I would end up at the right place, but now I’ve been told the creek bed divides or something,” she said. Temperatures reached 37 degrees Celsius in the region on Friday and Ms Byrne had no water or food. Rescuers found Patricia Byrne three days after she became lost while helping her family maintain walking tracks in the area. She said she was able to make herself comfortable despite contending with high temperatures and strong winds. “When it got dark I found somewhere to lie flat and rest my head on a log or something, and have a bit of a sleep,” she said. Ms Byrne said she was not particularly frightened during the ordeal. 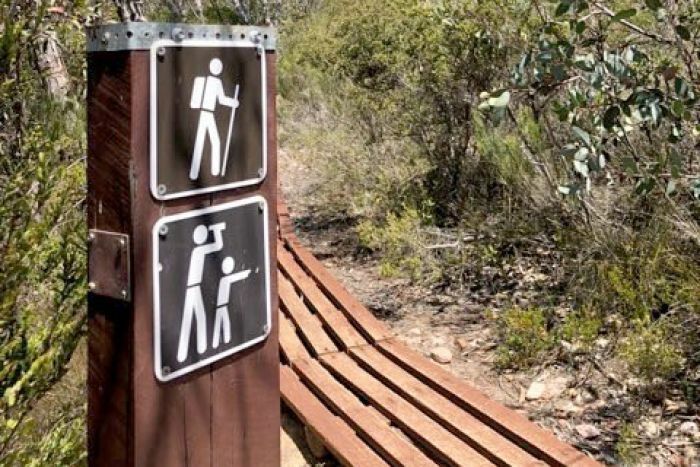 “Not really no, I didn’t think I was lost,” she said. Ms Byrne also made a good-humoured jibe at her relieved family members. “I thought this crowd were a bit slack, hadn’t noticed that I’m not there for breakfast,” she said. 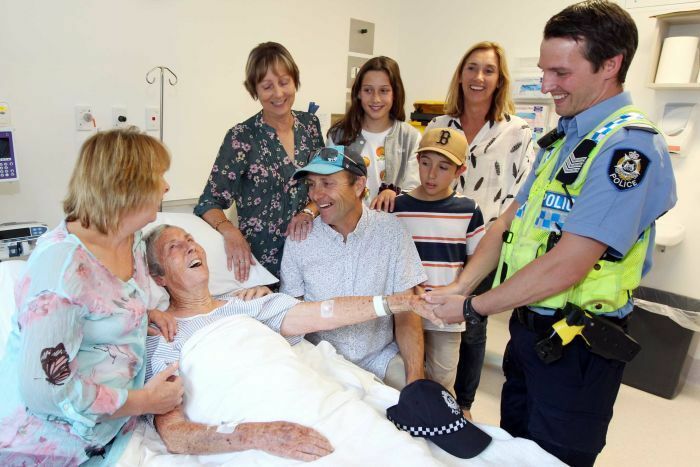 Ms Byrne described her treatment in hospital as “like a 10-star hotel”, and personally thanked the officer who found her, Acting Sergeant Steven Ball from the Tambellup police station. “It’s an incredible moment, to see her doing so well, to see her laughing and joking,” Acting Sergeant Ball said. “It’s remarkable what she’s been through, and to be in that sort of condition now, it’s marvellous to see her like that.